Commander, USN, Ret. 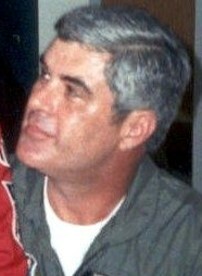 (after 18 years); Lieutenant Colonel, USAF, Ret. ; M.D. from the Hahnemann Medical School, Hahnemann University, Philadelphia, Pennsylvania; at the time of his selection assigned at Air Test and Evaluation Squadron 4, NAS Pt. Mugu, California; semi finalist in NASA astronaut group 8 selection; later Occupational Medicine Consultant with Federal Occupational Health (FOH) Region IX, San Franscisco; died of sudden cardiac arrest.